At the mention of the word,'Pavlova', or 'Meringue', some people go weak at the knees but then confess that they've never tried to make it so they really don't know how simple it can be. Here is a simple pavlova recipe that even the most inexperienced cook can make. I throw down the challenge to everyone reading this article to try it. It will not take you much time to prepare. This recipe is one of my favourite dessert recipes. Pavlova is Australian in origin but is just as popular in New Zealand, and, in fact, all over the world. Different countries have different preferences for fillings. But you can experiment with your own personal fillings. My preferred filling is raspberries but I've included other alternatives for you to try. Ingredients for 8 generous servings. 3 egg whites. Make sure you take them out of the fridge one hour before using them. Beat in the vanilla essence, vinegar and cornflour but, again, don't overdo the beating. Spread the meringue mixture over the non-stick greaseproof paper, piling up the edges to form a case. Avoid opening the oven door to check if it is cooking! When you take it out of the oven and it has cooled completely, then place the meringue case on a flat plate. 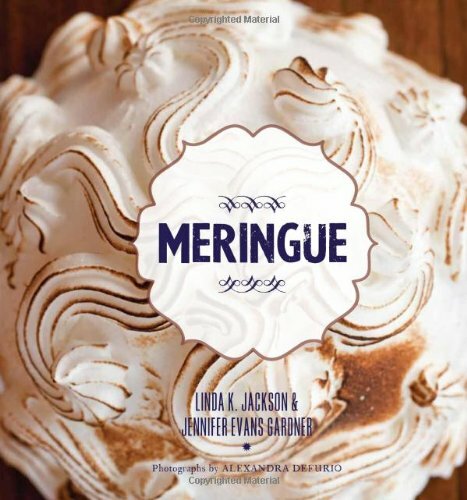 Enjoy the lightness of the pavlova and feel proud that you have mastered the baking of the dreaded meringue! This sounds amazing, looks delicious, and it's not too difficult to make. Not a bad combination, if you ask me. Nice article TerrieTez; and by-the-way, your beautiful photo makes me hungry! Try it. You'll love the crunchy meringue which isn't filling. It's just the double cream that's fattening! Enjoy! I love padlova and I've only had it with passion fruit, this sounds good. Thanks for the recipe. I'm sure you'll find the raspberries refreshing and you can make the caoulis as tangy as you like. Just reduce the icing sugar or,if using sugar instead, use less of that, too. Alternatively, just crush the raspberries without any kind of sweetening. LOVE pavlova! had my share of it (and more!) in new zealand. just one question about your recipe: is caster sugar the same as confectioner's sugar or what we call powdered sugar here in the u.s.? Caster sugar is just like a finer version of granulated sugar but I think I've made it with granulated in the past. However, caster is better. I had never heard of pavlova before, but that looks delicious. My wife is a chef, so I probably shouldn't say out loud that there is a food I don't know...Shhhh!! I love pavlova! I have used the Cool Whip fat free whipped topping instead of the whipped double cream, for a lighter version. Thanks for sharing your recipe! Thanks for all your supportive comments. I'm expecting inkedwriter to take up the challenge and make it for his chef wife. Let me know how it goes. I've just read your comments before breakfast, Girlibird, and, do you know, I could eat Pavlova now! This is definitely going in my recipe book. I can't wait to try it. Thank you! Let me know when you've made it. I know it will taste scrumptious! Pavlova reminds me of Christmas in Australia! Thanks for the reminder of this great treat, I'll have to try the recipe and attempt to recreate some great memories! Enjoy your memories as you make and eat this dessert. Let me know how you get on. Yummy I love pavlova, I made it before when I was just a little kid and it was super easy. Thanks for sharing. Hi gloomz Glad you like it. You're making me feel hungry! Hi CrystalNici Thanks for nice comments. What about using chocolate chips sprinkled on top of the filling. They might keep to the surface more easily than maltesers as they are lighter and smaller. It's good to experiment, though. I'll definitely try this. Great article, congratulations on your feature! Thanks for you support and lovely comments.